Fat burning protein shakes have always been popular among body builders and sports persons, but it has experienced a recent boom in popularity thanks to famous celebrities who are upholding its health benefits. Protein shakes usually consists of a natural protein rich ingredient such as cottage cheese or yogurt along with some low-calorie fruits for flavoring and some source of complex carbs and fiber such as chia or hemp seeds. 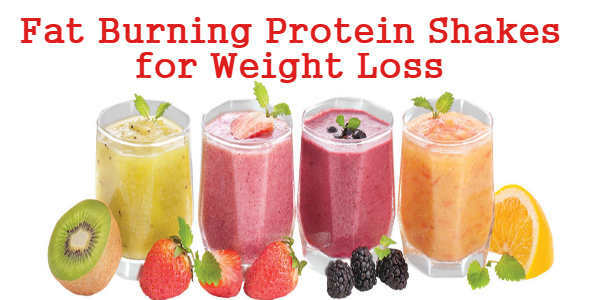 These protein shakes promote weight loss by increasing the amount of lean muscle mass and lowering the levels of hunger-stimulating hormone ghrelin that suppresses appetite in an effective manner. In this article, we have listed not one, but ten wholesome and healthy protein shakes for weight loss. 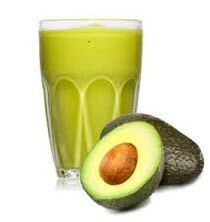 Replace your breakfast with this healthy and filling avocado yogurt shake in order to lose weight fast. Avocado is one of the healthiest of fruits packed with healthy monounsaturated fats that have the ability to lower cholesterol, reduce hunger pangs and burn stubborn belly fat. Avocado also supplies considerable amount of protein to the body that promotes lean muscle mass and promotes metabolism that speeds up the calorie burning process in the body. 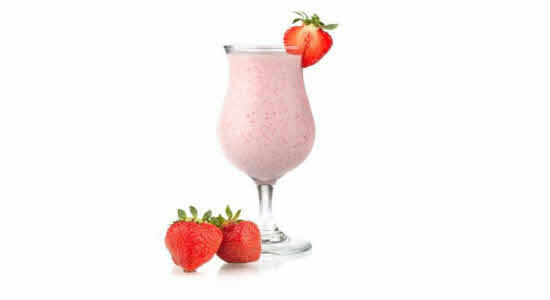 When it comes to weight loss, the combination of coconut oil and strawberries is one of the best weight loss shakes that promote calorie burn and specially targets stubborn belly fat. Majority of the fats in coconut oil consists of healthy medium chain triglycerides that boosts metabolism and aids weight loss. The medium chain fatty acids in coconut reduce appetite so you end up eating fewer calories automatically. Strawberries increase the production of hormones that stimulate appetite, slow down the rate of breakdown of starchy foods and suppress appetite. 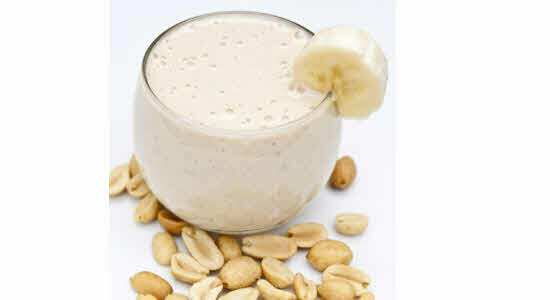 Combination of peanut butter and banana is one of the best protein-packed smoothies for weight loss. Natural peanut butter is a wonderful source of protein and fiber that helps to fill you up and keep you satiated so that you eat fewer calories. The healthy monounsaturated fatty acids in peanut butter helps to burn belly fat and reduce inches from the waistline. The resistant starch found in banana makes it exceptionally filling and helps to reduce appetite. 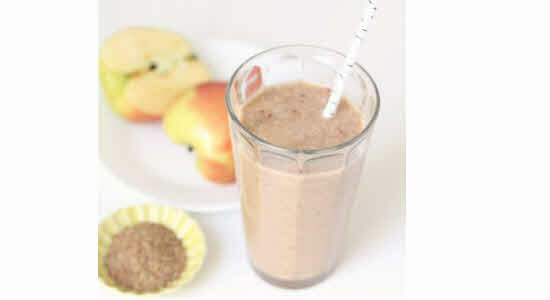 Apple and flaxseed Meal Shake is one of the most effective shakes for weight loss that works due to the high fiber and omega-3 fatty acids content in flax seeds. Dietary fiber in flax seeds helps to suppress appetite and increase satiety so that you consume fewer calories throughout the day. The fibers also balance blood sugar levels in the body which prevents the storage of excess sugar as fat in the body. Omega-3 fatty acids in flax seeds boost the levels of hormone adiponectin that is release by fat cells to regulate metabolism of lipids and glucose. 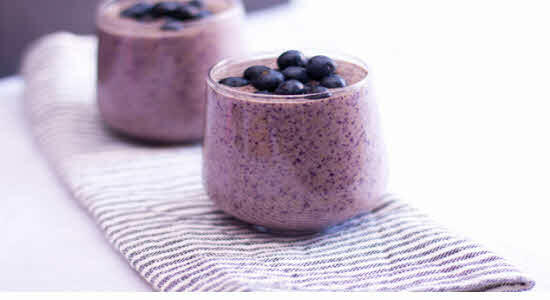 Chia Berry Shake is one of the best protein shakes for weight loss that promotes calorie burn and aids the formation of lean muscle mass. Chia is one of the best vegetarian sources of protein that encourages the formation muscle and tissue and replaces fat with lean muscle mass. 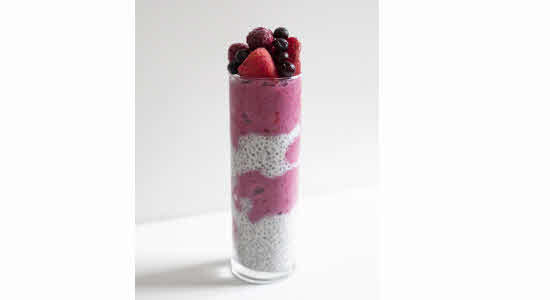 High fiber content in chia seeds helps to increase satiety and reduce appetite. 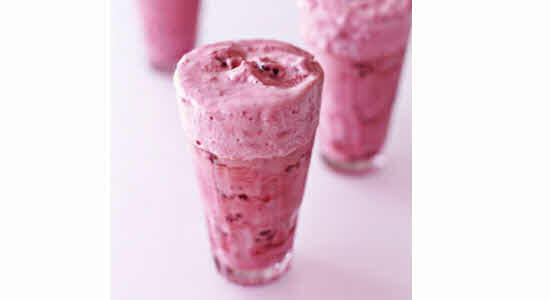 The antioxidants and enzymes in berries help to boost metabolism and regulate blood sugar. Both these factors aid weight loss to a great extent. The combination of almond butter and berries makes one of the most delicious and powerful fat burning shakes that aids weight loss. Almond butter is a wonderful source of healthy fats and protein that helps to increase satiety and promotes the formation of lean muscle mass that replaces the fat cells. Blueberries are a potent source of antioxidants and vitamins and it also helps to cut out excess fat from the body by controlling the procedure in which the body processes fats and sugars in the diet. When it comes to the best protein sources for weight loss, there are no other ingredients like Greek yogurt. Greek yogurt is a wholesome source of high-quality protein along with healthy fats and carbs. It also contains a considerable amount of calcium that promotes fat burning in the fat cells. Hemp seeds add some much needed complex carbohydrates and fiber to the shake that makes it exceptionally filling and satiating. Antioxidant polyphenols in cacao promotes weight loss by reducing the production of fat cells. 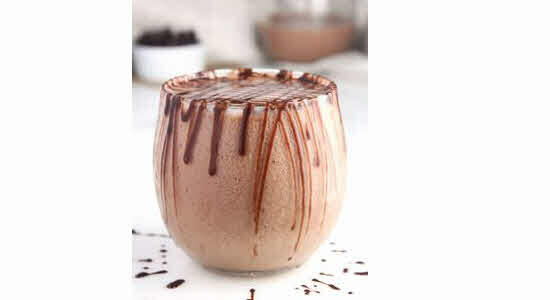 The combination of Greek yogurt and cacao forms one of the most effective shakes to lose weight. 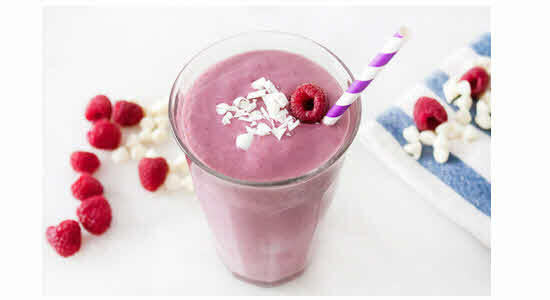 The combination of fresh berries and cottage cheese makes one of the healthiest diet shakes that can be included in a smoothie diet to promote weight loss. Cottage cheese is one of the best sources of protein that promotes the formation of lean muscle mass and aids weight regulation. It is a great source of calcium that not only strengthens the bones but also increases fat loss from the fat cells. Cottage cheese is a relatively low-calorie source of high-quality protein that helps to keep you satiated for a prolonged period of time without adding empty calories to your diet. This is one of the unconventional but healthy weight loss shakes that you can prepare with freshly cooked or left-over quinoa and juicy raspberries. Quinoa is a great source of protein and fiber that helps you to lose weight. Both protein and fiber enhances satiety and helps to stabilize blood sugar levels. Protein also boosts the formation of lean muscle mass that improves overall body composition. A chemical known as raspberry ketone found in raspberries helps to lose weight by increasing metabolism and affecting the level of hormone adiponectin that increases the rate at which the body burns fat and curbs appetite. Tofu is one of the healthiest soy products that supplies wholesome amount of protein to a vegetarian diet. Tofu is a low-calorie source of protein that helps to increase satiety while consuming fewer calories, which is extremely beneficial for weight loss. Unlike other plant based proteins, soy protein found in tofu is a complete protein that contains all the essential carbohydrates that are required for the formation of lean muscle mass. 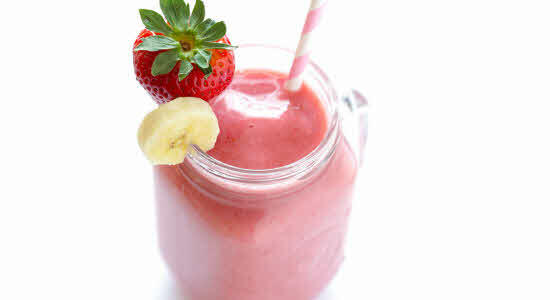 The combination of tofu, banana and strawberry creates one of the best weight loss shakes that promote fat burning while reducing appetite. Don’t have time prepare a healthy breakfast or snack in your busy schedule? Prepare these quick and easy homemade fat burning protein shakes using natural ingredients and promote weight loss while preserving and promoting lean muscle mass.